While the travel ban and family separations grabbed headlines, Cissna has waged a quieter war, tightening and reworking regulations and guidance that make it harder to come to the U.S. as an immigrant or temporary worker. In February, Cissna rewrote the mission statement of the agency which he heads, eliminating a passage that proclaims the U.S. is “a nation of immigrants,” a symbolic move that nonetheless signaled a worrisome shift. A few months later, Cissna announced the creation of a new denaturalization task force, which would investigate naturalized Americans whom the agency suspected of lying on their citizenship applications. As Masha Gessen wrote in The New Yorker, “It’s the apparent underlying premise that makes this new effort so troublesome: the idea that America is under attack by malevolent immigrants who cause dangerous harm by finding ways to live here.” Gessen continued: “Indeed, the creation of the task force itself is undoing the naturalization of the more than twenty million naturalized citizens in the American population by taking away their assumption of permanence. All of them—all of us—are second-class citizens now.” One of the people Cissna wished to strip citizenship from? A 63-year-old Peruvian-American grandmother, over her minor role in a fraud scheme perpetrated by her boss. He has also spearheaded other changes, many of which have largely flown under the radar and failed to generate widespread outrage outside of those whose lives will be impacted by them—from new rules that empower USCIS officials to initiate deportation proceedings for a wider number of immigrants to policies that allow USCIS officers to deny visa and green card applications over small errors, without giving applicants an opportunity, as the Obama administration did, to fix them. 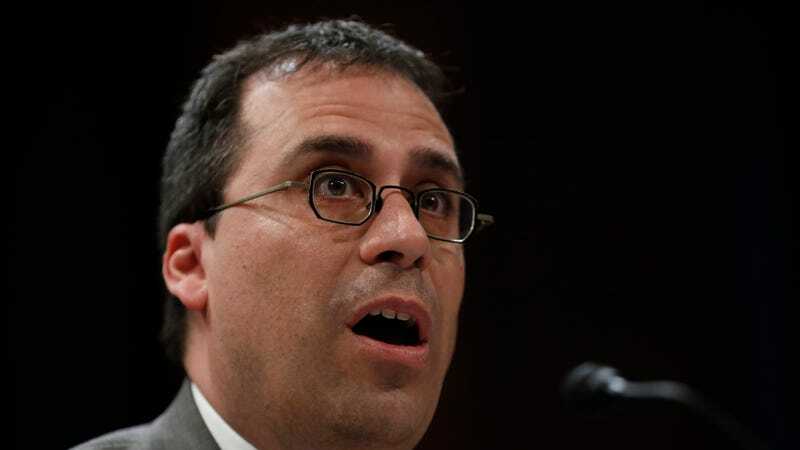 People who have known Cissna for years expressed surprise at the turn that he has taken as head of USCIS. “We’re pretty stunned that a guy who is compassionate, funny, proud of his immigrant mother from Latin America, that he would now be one of the key architects of the seemingly heartless policy of separating families,” Dan Manatt, who attended Georgetown Law School with Cissna, told Politico. Cissna himself disputes that he bears any animosity towards immigrants. Good to know—he doesn’t hate immigrants, he just loves laws that make their lives as difficult as possible. What a relief.